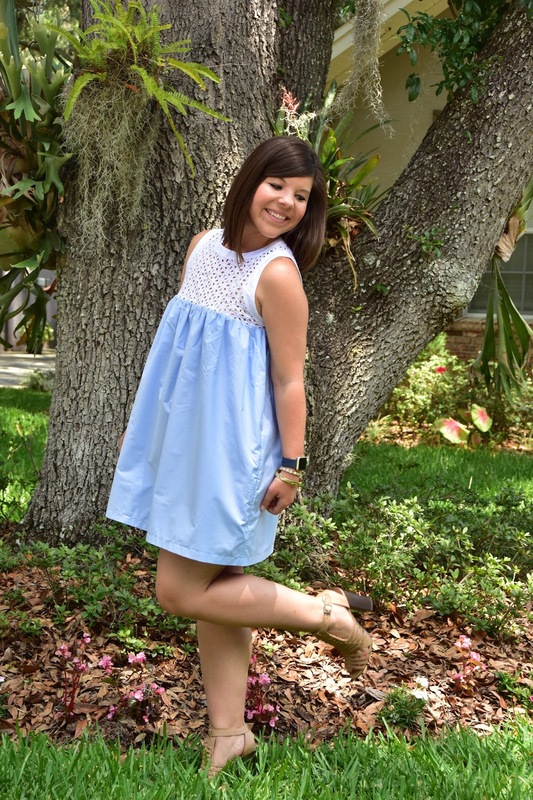 Eyelet Lace Babydoll Dress + Weekender GIVEAWAY! Now for something SUPER exciting!! Remember the adorable Carolina Dandy weekender I recently took on my trip to Key West? Well today you have the chance to win one for yourself!! That’s right, my sweet friend Addison will personalize a bag just for you! 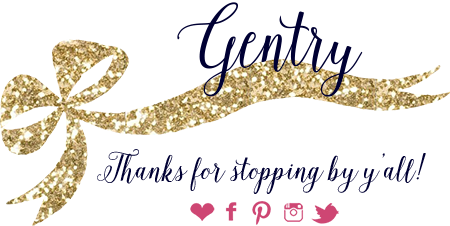 All you have to do is enter in the Rafflecopter below & cross your fingers your name is pulled next week when the giveaway ends 🙂 Good Luck! 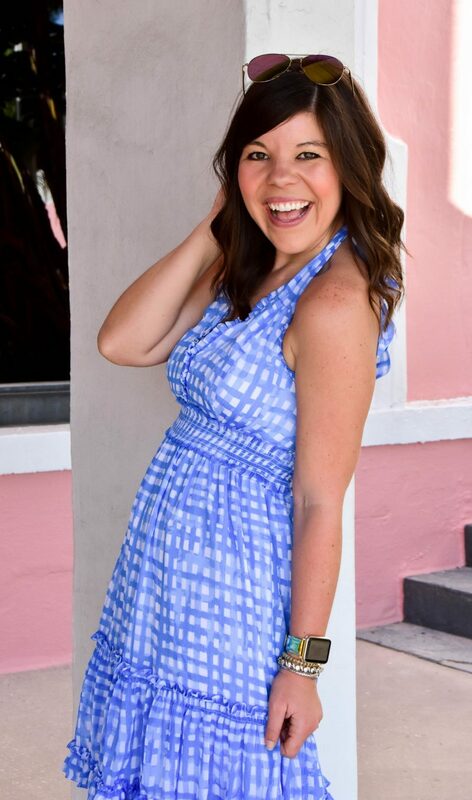 Seriously obsessed with your weekender and this dress! 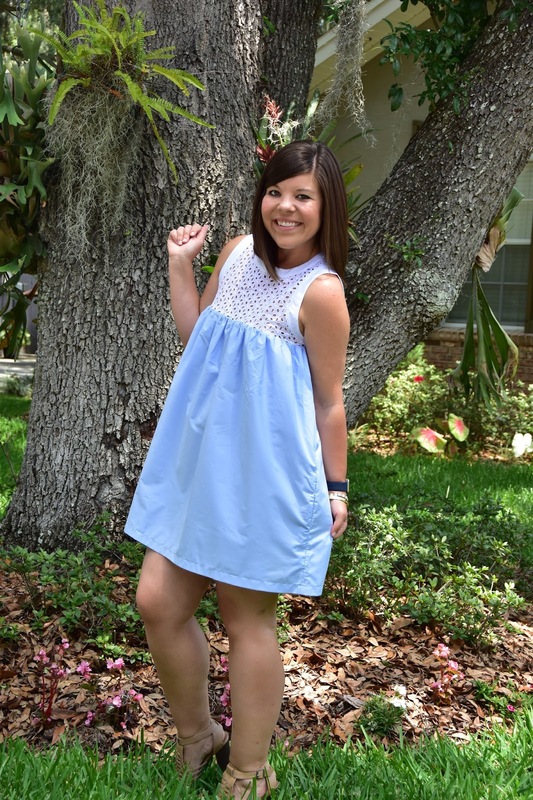 Love the chambray bottom and the details on the top! So cute! I plan on taking it to the PNW coast with me! Cheers! To the cottage this summer! 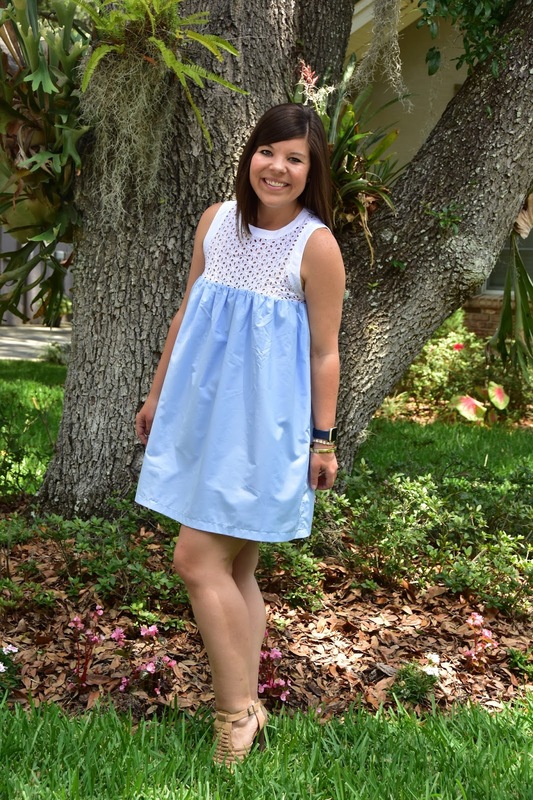 Eyelet detail and baby blue! Gah! Such a perfect combination. Adorable! You look so beautiful! Love this dress! I have to travel a lot for medical appointments and treatments so this would come in handy. That's not fun, though, so I am planning on spending a few days on the Oregon coast this summer! This is the perfect bag for me to take up to the lake on our weekends this summer! I hate packing a carry on size suitcase – it just seems so formal. I definitely need a fun weekend duffle like this!! 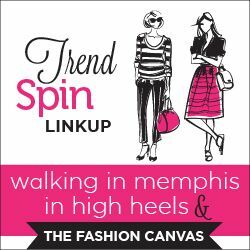 I may have to use your packing tips AND this bag for a Bachlorette party weekend to North Carolina this summer! I love this dress and your dress, both of which I would love to have. If I won the bag I would take it with me to th beach week end after next. Thanks so much. Beach vacations are my favorite! Love the dress! 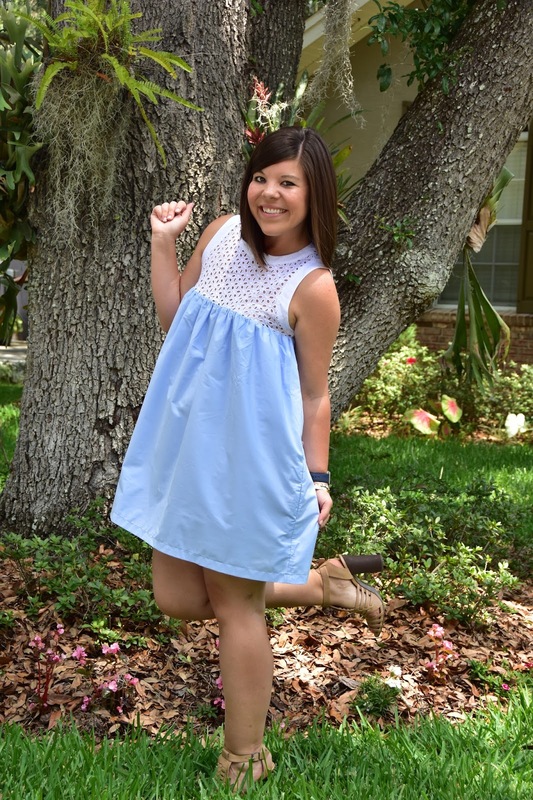 Looks super comfy and perfect for summer! What a great overnight bag! This dress is so cute! The embroidery detail is perfect! 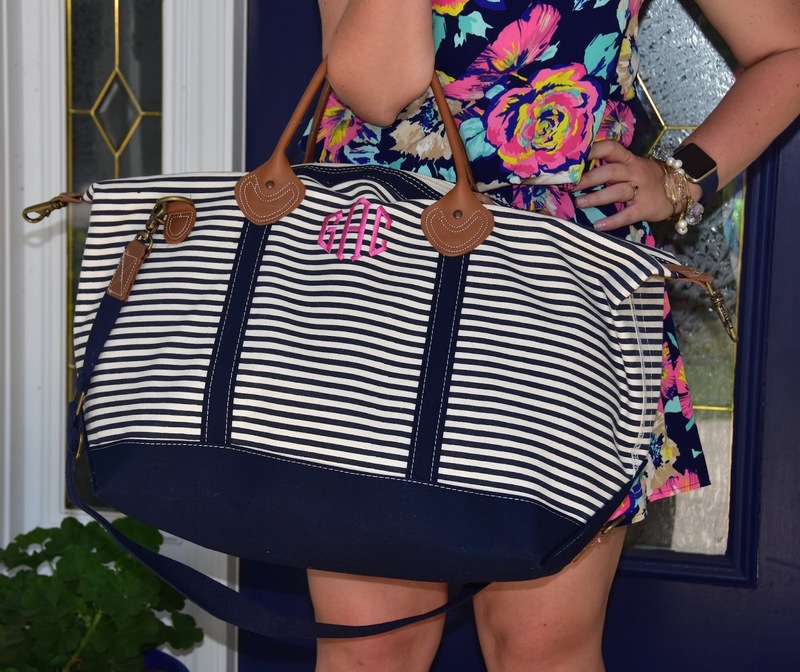 I love the striped monogram bag! I would totally take it on our weekend road trips to Pittsburgh, it's the perfect size! Also, that dress is so cute! i will take it with me everytime i go house-sitting and dog-sitting . i would have everything in that one bag . This dress is seriously the cutest ever! 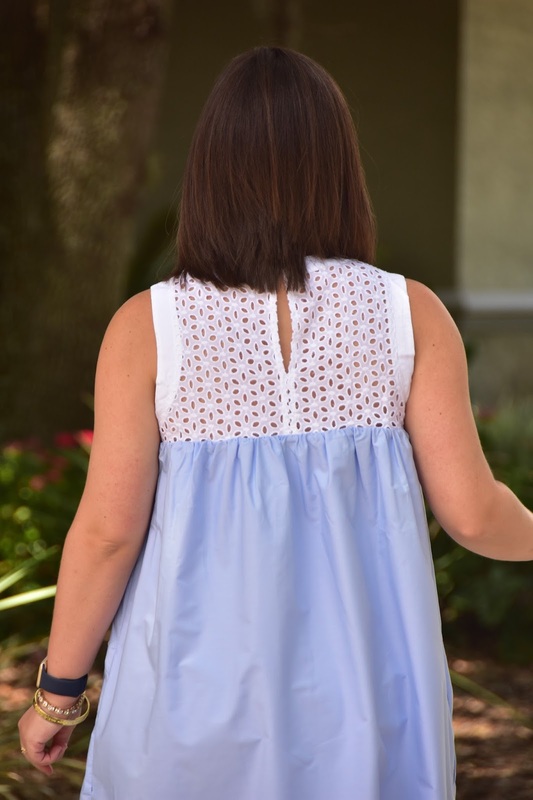 In love with the eyelet top and the cute flirty cut! This is crazy, because this exact bag is on the very top of my short wish list. I would take it to Emerald Isle with my husband's family and all the other quick weekend trips we take in summer! I also love love that dress. Darling! I'd take my bag on road trips and use it as a carry on bag! I would take it with me to New Orleans. i'm going to key west as well! it will be my first visit in july. This would be so awesome to take on our trip to costa rica! i'd love to take this with me to atlantic city!